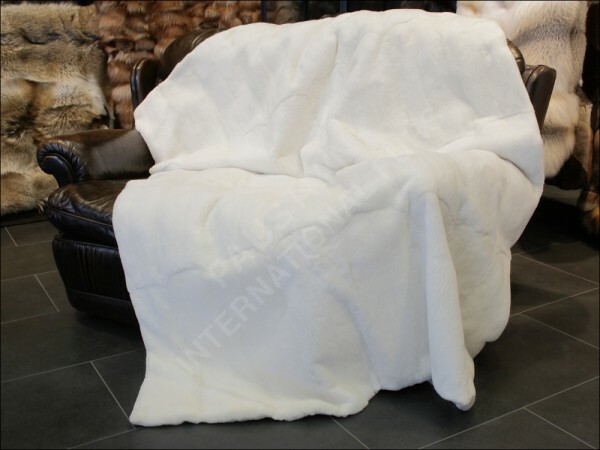 Like all of our products, this mink fur blanket is handmade in our workshop in Kiel Germany by our skilled team of expert furriers and tailors. The plucking technique they use removes all of the coarse hairs from the pelt leaving only the silky-soft undercoat behind. The mink used in the creation of this item comes from the Scandinavian fur producer Kopenhagen Fur, one of the most highly respected fur producers in the world. These furs come with the Origin Assured industry designation, which guarantees that all of the furs used in the creation of this product are of the highest quality and come from humanely treated animals. Naturally, we can make this plucked mink fur blanket in any size you'd like. Please note, however, that this would lengthen the time of delivery ca. 2-3 weeks. Related links to "Double sided plucked Mink Fur Blanket - (Origin Assured)"
Customer reviews for "Double sided plucked Mink Fur Blanket - (Origin Assured)"